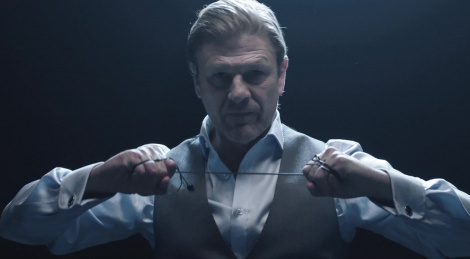 Actor Sean Bean stars as Mark "The Undying" Faba in Hitman 2 during the first Elusive Target mission which will launch November 20 and will run for 10 days. Faba is a former MI5 agent known to fake his death when it suits him. Warner Bros. Interactive Entertainment and IO Interactive today announced that international actor Sean Bean will star in the first Elusive Target mission for the HITMAN 2 video game. Bean will take on the role of Mark Faba, a former MI5 agent turned freelance assassin. Notoriously known as “The Undying,” Faba’s reputation as a master of faking his own death is second to none, ultimately causing the International Contract Agency (ICA) to put an imposing bounty on his head. The first Elusive Target mission, entitled The Undying, is scheduled to release on November 20, one week after HITMAN 2 launches on November 13, and will run for 10 days. Once the mission is available, players must stop Mark Faba before he can utilize his expert surveillance, infiltration and demolition skills to complete a contract at the Global Innovation Race event in Miami, and if anyone can take down Faba for the last time, it’s Agent 47. 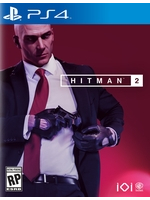 In HITMAN 2, Elusive Targets are unique, high-stakes contracts that are only available for a limited time. These missions are free for all players, allowing one chance to assassinate the target and if not successfully completed, the contract cannot be retried. The Undying Elusive Target mission is the first of many post-launch, free live content updates that players will be able to enjoy in HITMAN 2. This is really cool, bringing in a celebrity, using that's celebrity's very well known meme in a funny and unique twist, and incorporating it naturally into Hitman's Elusive Target system. It would be very cool if after you kill Mark "The Undying" Faba, he really comes back at the season finale taunting Agent 47 for a botched job - you killed a look-a-like who underwent facial and body surgery to look just like Faba. Would give the nickname "The Undying" a lot more prestige, while also allowing Sean Bean to be in more missions. Really liking everything IO Interactive is doing with Hitman 2. Hoping they're very successful. I really hope they will rerun old Elusive targets, as well - I stopped playing after getting not even half of them. Hopefully there’s more of this sort of thing in season 2. Gary Busey in the last season was also pretty cool.